That is so cute! The background stamp is perfect, and I love that white one, too! I really like this. It's subdued and feminine. Very much a win for me! I have the Feel collection on my Christmas wish list (it has both mine and my sister's names in it). This is really beautiful, gorgeous design and great execution of the design! Very pretty drew my attention as soon as I saw it. You are a nail stamping goddess. 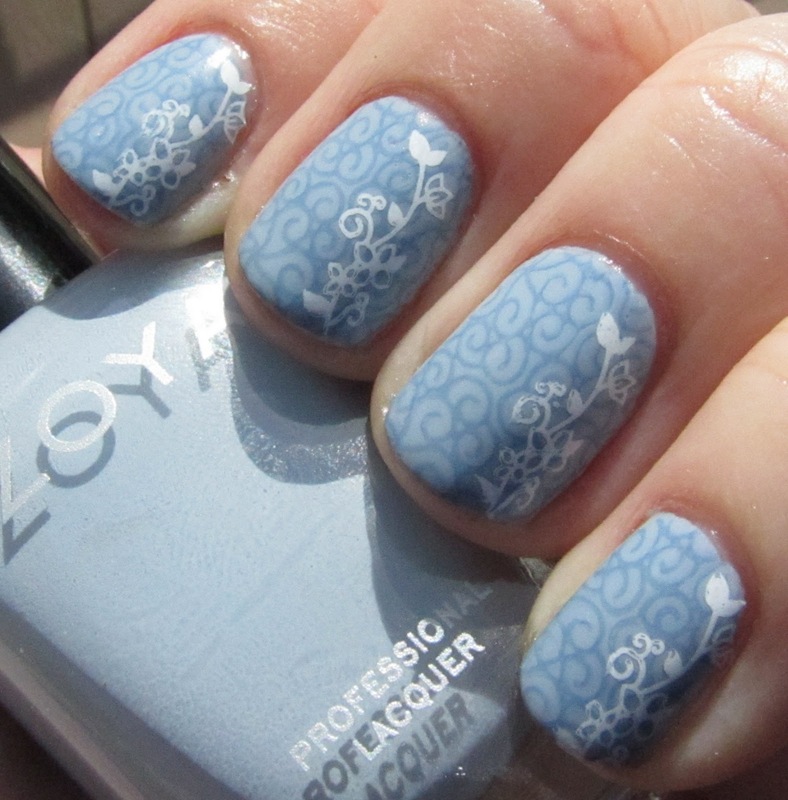 I really like the layered stamping. It's very pretty and delicate. I'm a sucker for double stamping... I don't do it often enough.